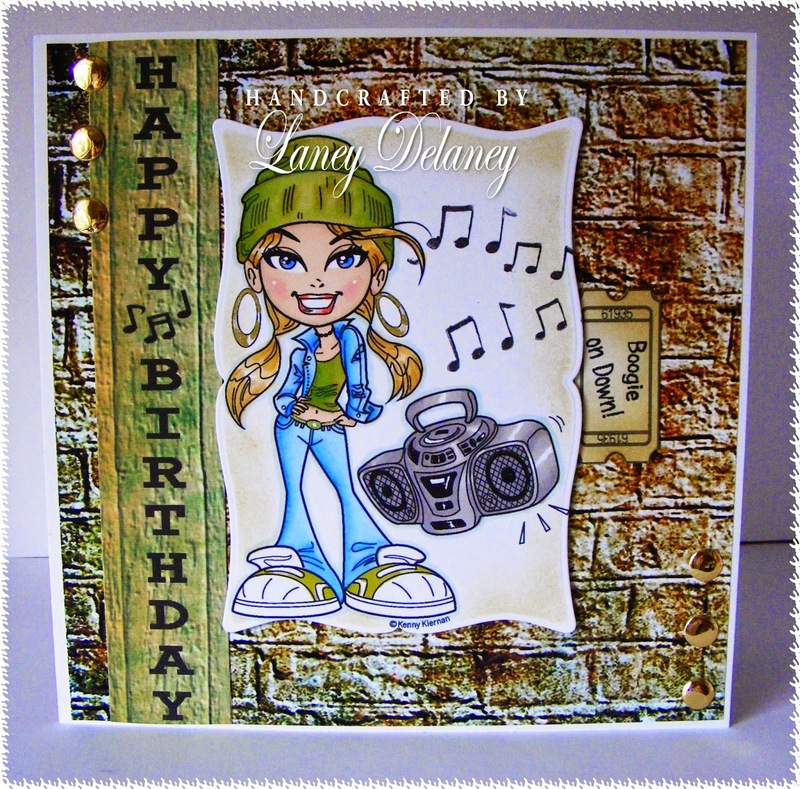 I Have used DP from Bearlymine Designs 'load of Ole Bricks'collection thought it went well with the Boogie on Down digi stamp from Kenny K coloured with my promarkers, I also added the border and some card candy. Great choice of layout to go with the image. Fab card. Stunning coloring! I love the colors you've used and this image is so cool! Love the card! Thanks for joining us this week at Love to Create! Wow you rocked this image! Great colouring and I like the shape you used to cut out the stamp. The brick wall paper look awesome too. Thank you for sharing your talent with us at Kenny K and hope to see you back soon! Great card! Super FUN! Thank you for joining our "Inspired by a Song, Book or Movie" Challenge this week at Love to Create. Fabulous card, with your coloring and design, Thanks for sharing your wonderful card with us at Love to Create Challenge Inspired by a Song, Movie or Book. This is awesome!! I love the big brick wall - it does go perfect with that image and that song! LOVE IT!!! Thanks for joining us at Love to Create this week! !